You are here: Home / Lifestyle / The Guiding Steps – How To Keep Your Employees Safe Online! The Guiding Steps – How To Keep Your Employees Safe Online! If you want to keep your business safe from cyber offense then you need to keep your employees safe first. 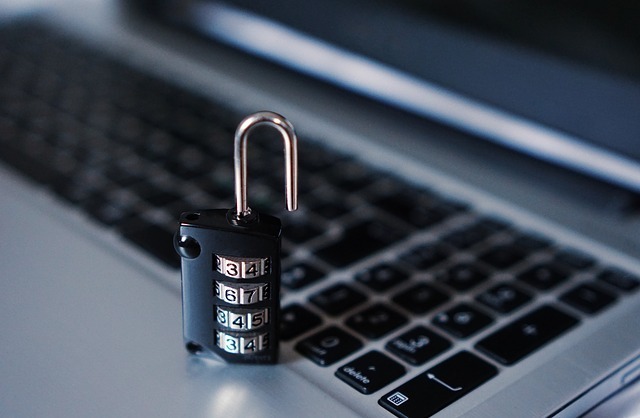 In this digital era, it is hard to maintain a company’s cybersecurity and that is the reason why every company needs to keep its employees safe in order to keep his business safe in the longer run. In the year 2015, a report was submitted by Motherboard which stated that credentials of approximately 60 million accounts were found in the black web. This alone is enough as a reason to ensure all your employees are safe online along with the data. The first and foremost thing, a company should ensure their members’ safety online is – educating the staff. This can simply be done by mailing a document to them or sharing a hard copy of the tips or steps they should follow to feel safe online. Training the staff on how to protect themselves from malware software can help a company reduce clicks on sites that are related to malware application installation. Remember, this training should be conducted in every office, irrespective of the size of the company. The second step that can help your staff feel safe online is being extremely watchful. The mailbox of employees is always loaded with emails that contain a virus that can damage the system and software completely. Employees inadvertently open such emails and punch in their personal information such as username, password, and credit card information. Imagine how easy it is to get into your shoes for attackers by just sending you an email containing ransomware software! Ensure your employees know these emails are all unnecessary and thus, they avoid any communication with these emails. The internet is filled with a plethora of information and only a part of it is genuine and virus free. Make certain that you only download stuff or install any software from a trusted website. Remember, the only malevolent software can access your personal information without seeking your permission. Do not invite viruses and trojans to your system unknowingly. Educate employees about their final reactions once these viruses get into the company threads. As we know, more than 40% of businesses do not reopen after shutting down by the attack of malware software such as Ransomware. Therefore, always ensure to have a backup of all your personal and company data as it is better late than never and for this, you can consider Recovery Series backup appliances which are extremely helpful. Most venomous websites use URLs that may seem legal and fine but are only on the web to add viruses and trojans to your system. To differentiate these URLs from the real ones, watch closely the URL – it may contain some symbols, typos etc. These information will help you in understanding that it is a bogus website present only to gain your personal details. Do Not Choose Small Passwords: having long passwords can help you save your day. Most passwords are now created with a mixture of alphabets and symbols. At least 10 characters should be there in a password along with some symbols and numeric numbers. Do Not Use Simple Digits: the close ones always know your favorite numbers and letters. It is advisable, not to use these while creating a password. If you are using numbers then use combinations which are not related to your house number, birthdays, etc. Never Save The Password: whenever you enter your password, the browser you are using asks you to save your password for future engagements. Never do that for the sake of your data safety! This information is easily attainable as our devices are easily trackable and in case of any theft, your information is accessible too. Use Various Passwords for Various Sites: in order to remember the password, being a human, we try to keep the same password for all of our accounts. However, at least, the staff should have two password categories; one for the business accounts and second for the personal accounts. Are you teaching all these things to your employees?